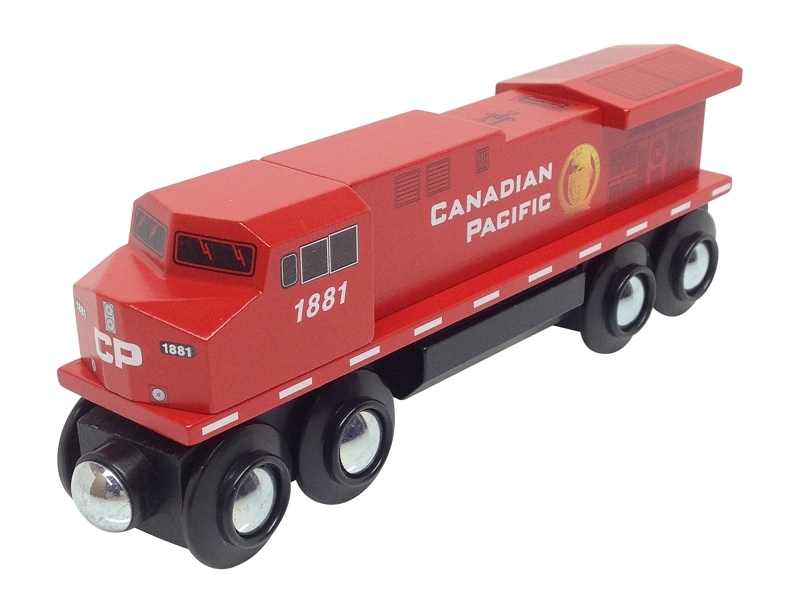 This Canadian Pacific engine with its beaver paint scheme will be a great addition to your wooden railway. Here's to our rail fans up north, or CP fans where ever you live. Click on the thumbnail pictures to see different views. Customers have asked for it, well here it is! The most realistic and functioning diesel locomotive wooden train engine on the market. This is not your "General Purpose" engine you normally see in a wooden train, nope these are the big dogs. C44's, Dash 8's, Dash 9's, ES44AC's, GEVO's, whatever you want to call them, we just call them COOL! With years of thought and many months of design, they are finally here. The detail of these engines are incredible, just like the ones you see everyday rolling through your towns across America. 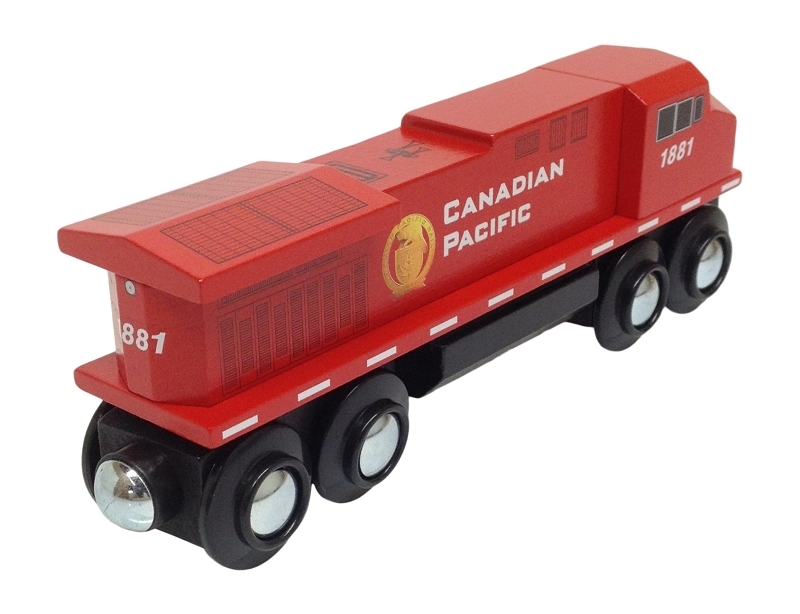 This Canadian Pacific wooden train engine is approximately 5-1/2" long and made of solid Beech hardwood. Handles all sizes of curved track, fits through tunnels and under bridges, even negotiates ascending hills, unlike the competition. Crafted by hand & painted in detail, the quality of this wooden train is of the highest standards.